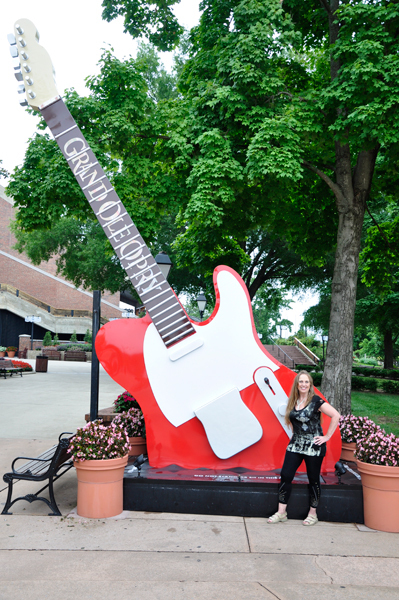 As Karen was about to get her picture taken next to the big guitars, a little boy ran up in front of her to get his photo taken by his dad. 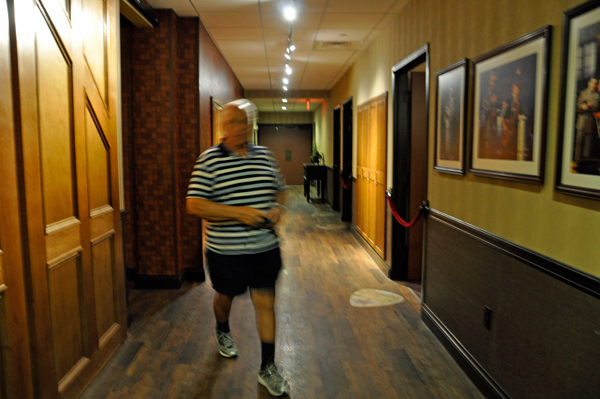 His dad did not seem to care that his son cut in front of Karen. 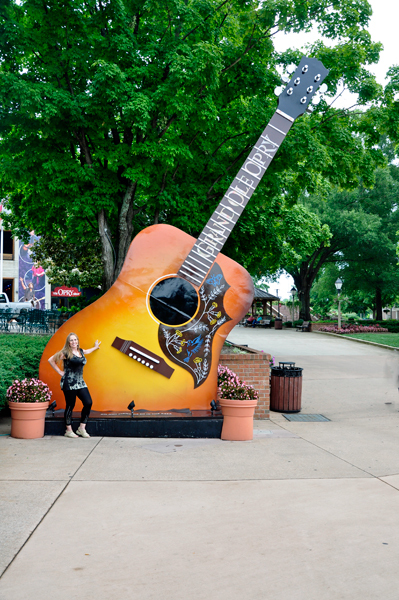 So as the dad went to take his son's picture, Karen said to the boy, "Smile, OR make a face." 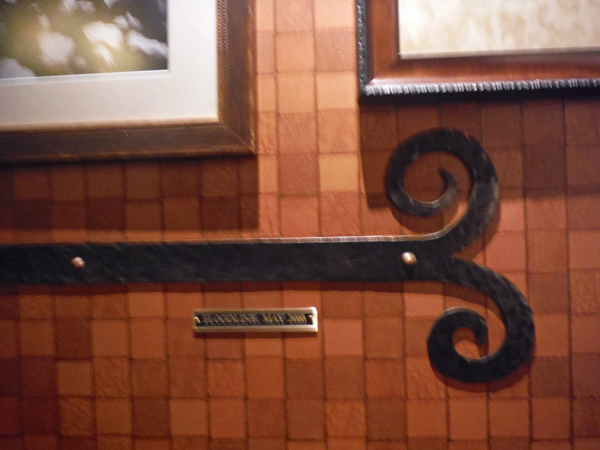 And just as the dad snapped the photo, the little boy made a face, pulling his mouth wide with all his fingers in his mouth. 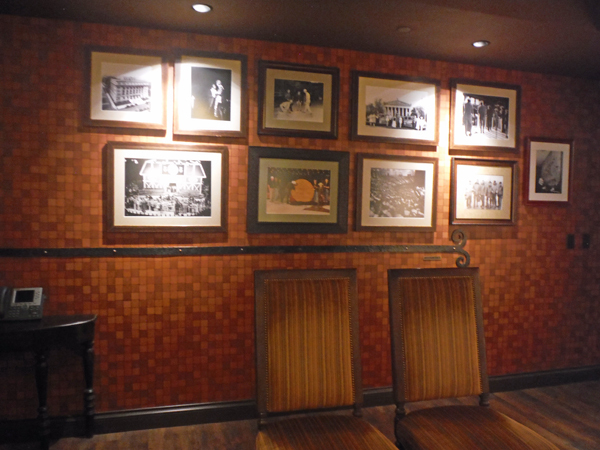 The dad did not take another photo, but grabbed the boy by the hand and left. 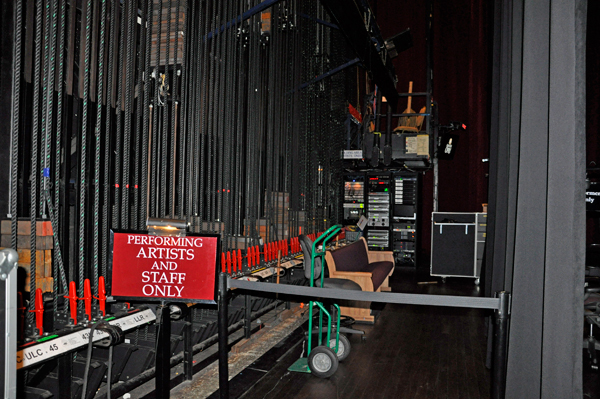 Line cutters beware - things happen! 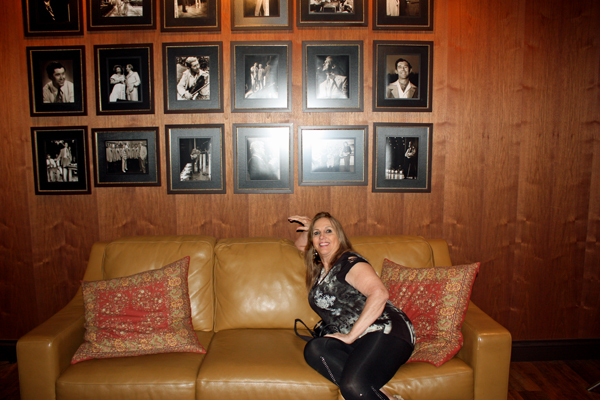 Don't mess with Karen Duquette! 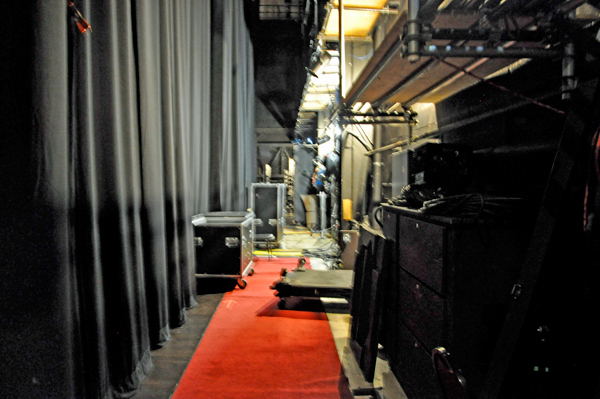 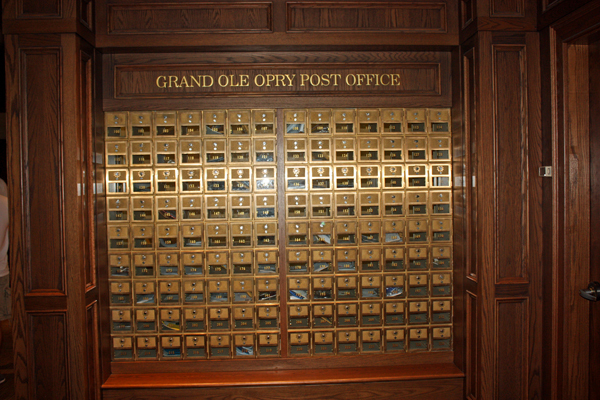 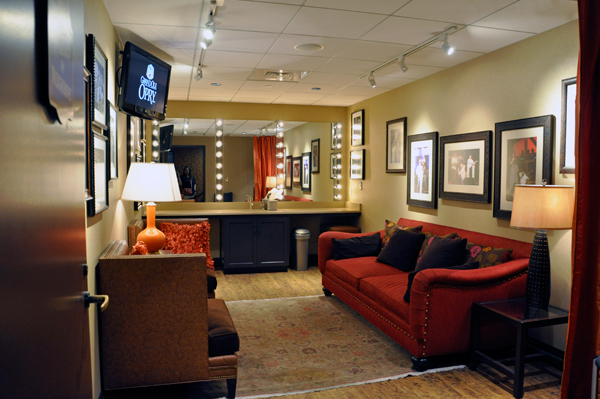 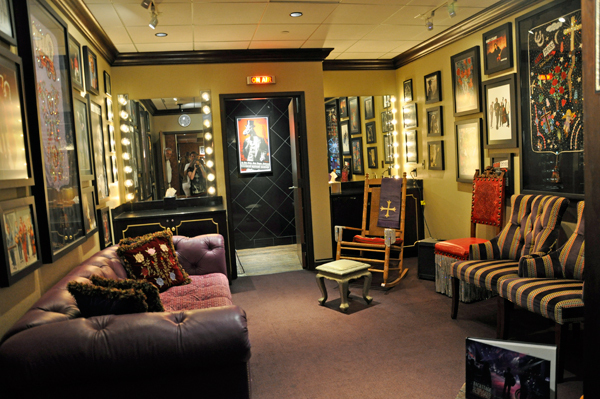 The backstage tour began with the mailboxes for stars inducted into the Grand Ole Opry Hall of Fame, followed by a brief movie in front of a display. 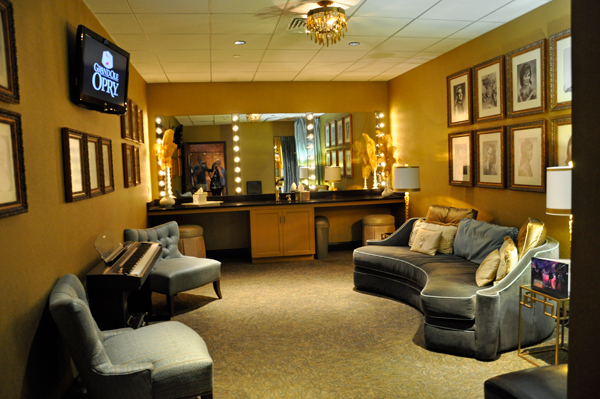 The decision to increase the Opry’s ranks is made exclusively by the show’s management. 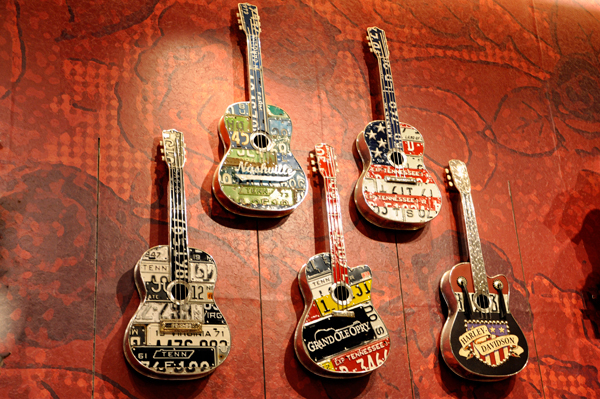 They take into account all the standards of success in country music—radio airplay, recorded music sales, touring success, and industry recognition. 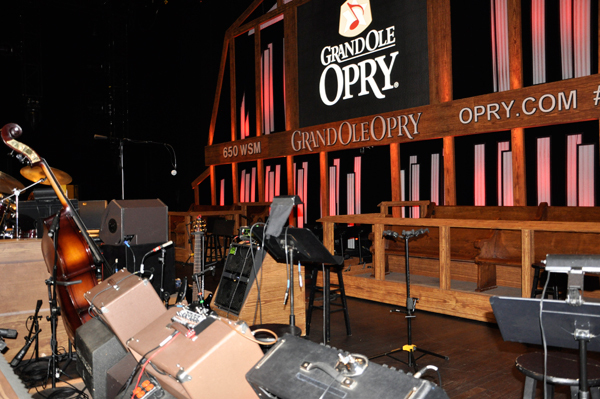 But the Opry doesn’t simply pass out invitations to the biggest stars with the most hits. 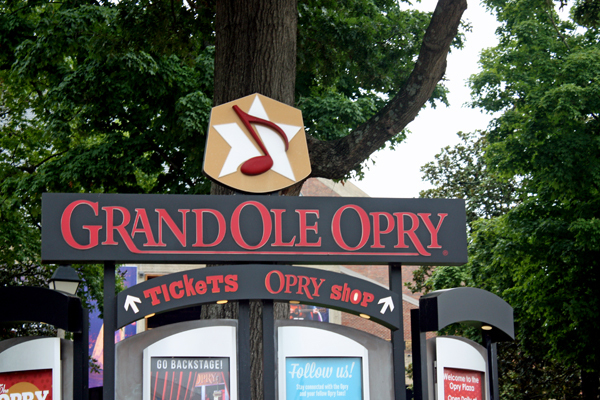 Opry membership requires a passion for country music's fans, a connection to the music’s history, and it requires commitment – even a willingness to make significant sacrifices to uphold that commitment. 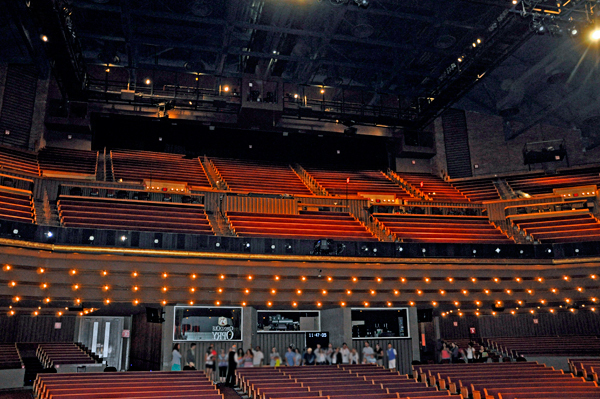 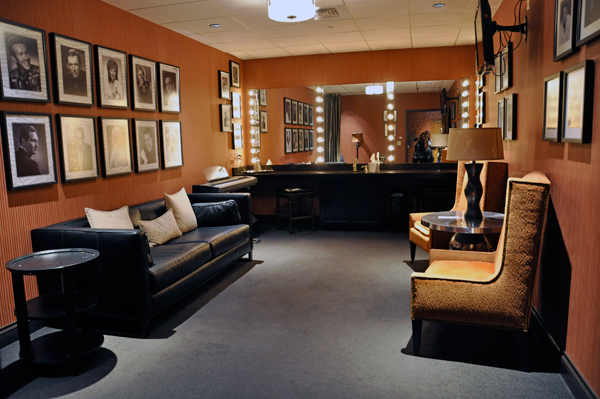 Often, the Opry seeks out those who seek out the Opry, though decisions aren’t based on which artists appear most on the show. 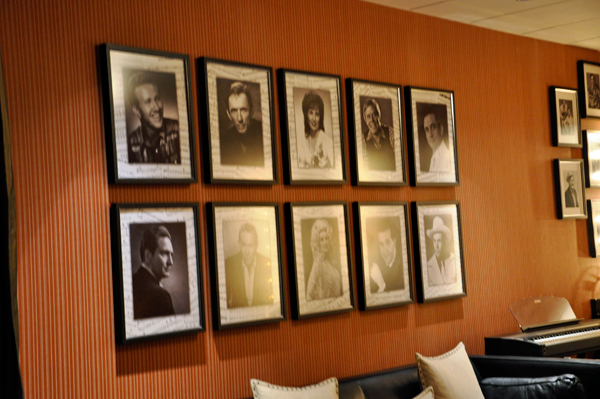 The Opry considers career accomplishment as well as the potential for continued success. 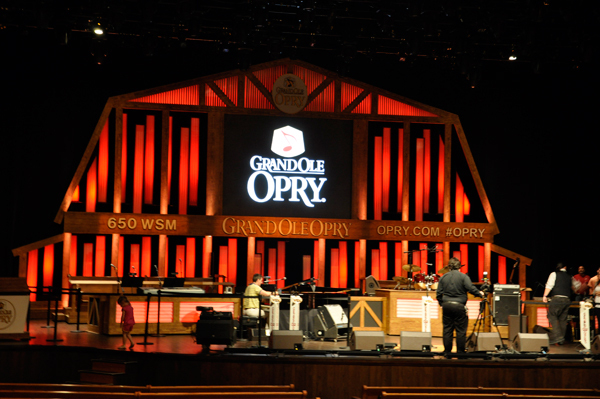 Membership in the Opry remains one of country music's crowning achievements. 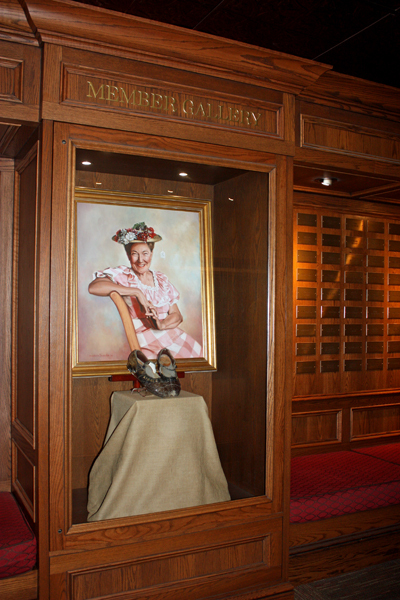 Such country music legends as Hank Williams, Patsy Cline, Marty Robbins, Roy Acuff, the Carter family, Bill Monroe, Ernest Tubb, Kitty Wells and Minnie Pearl became regulars on the Opry's stage (although Williams was dismissed in 1952 due to frequent drunkenness). 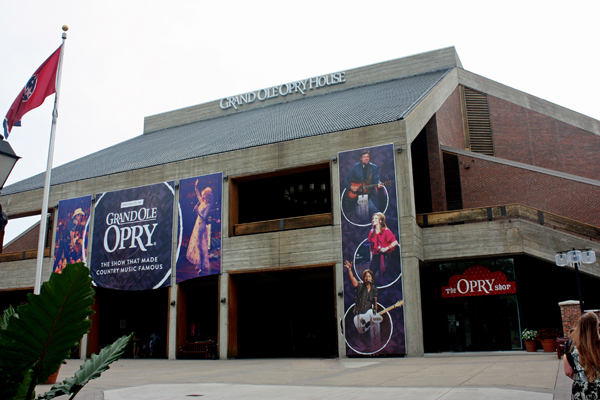 In recent decades, the Opry has hosted such contemporary country stars as Dolly Parton, Garth Brooks, Reba McEntire, Josh Turner, Carrie Underwood, Brad Paisley, Rascal Flatts, Dierks Bentley, Blake Shelton and the Dixie Chicks. 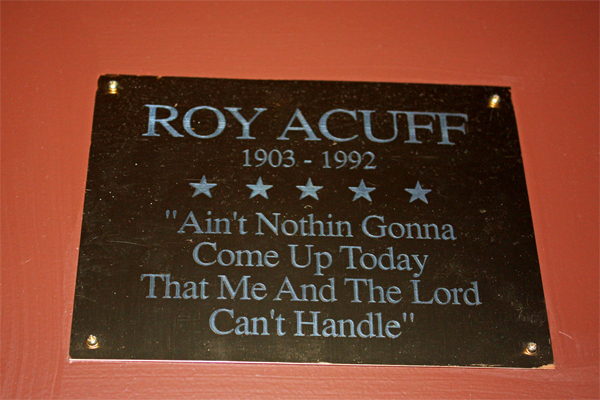 Below: two sets of plaques with the name of the stars and a photo of Minnie Pearl in-between the two sets of plaques. 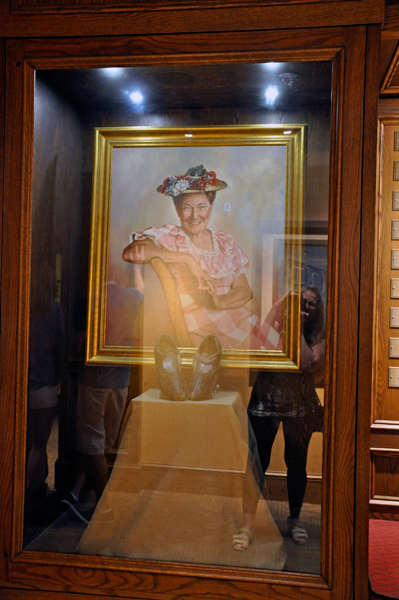 Below: Karen Duquette took a photo of a display for Minnie Pearl. 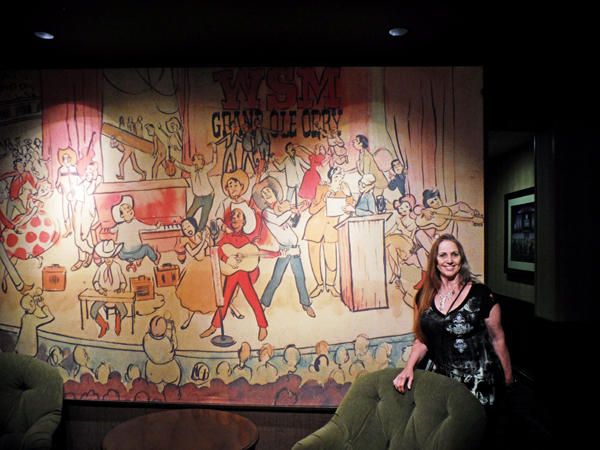 Karen Duquette and her sister Ilse in the main lounge backstage of the Grand Ole Opry. 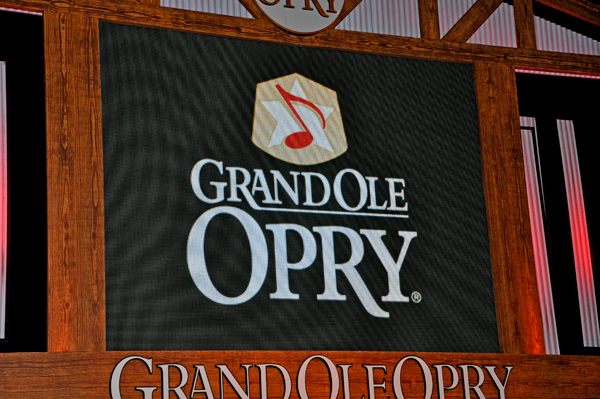 The Grand Ole Opry began just five years after commercial radio was born in the United States. 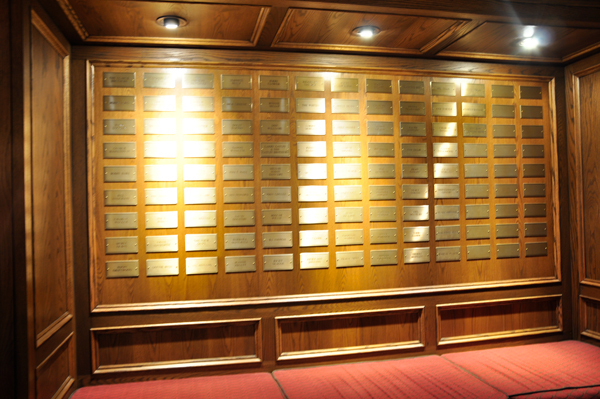 In 1925, the National Life and Accident Insurance Company built a radio station as a public service to the local community and with the hope that the new medium could advertise insurance policies. 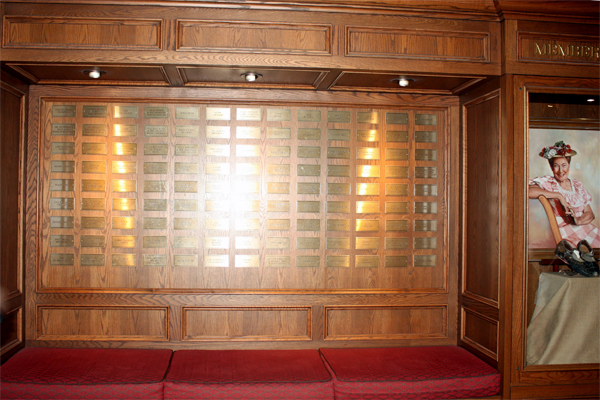 The station's call letters, WSM, stood for the company's motto: "We Shield Millions." 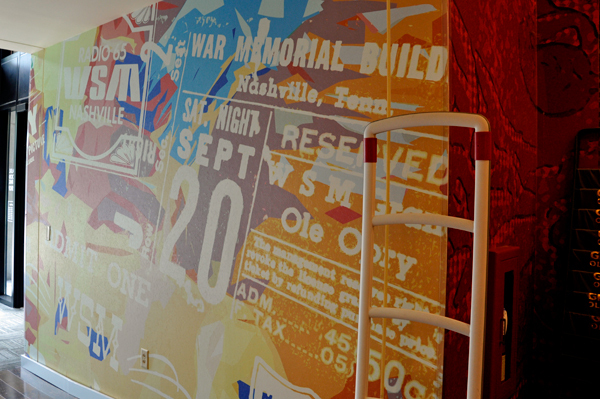 Soon after going on the air, National Life hired one of the nation's most popular announcers, George D. Hay, as WSM's first program director. 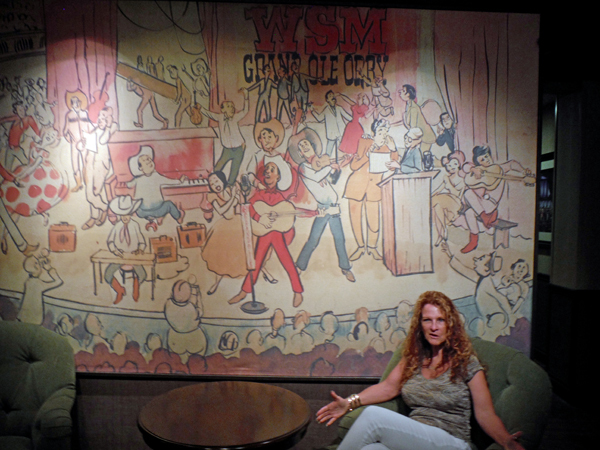 Hay, a former Memphis newspaper reporter who'd most recently started a barn dance show on Chicago radio powerhouse WLS, along with championship fiddler, Uncle Jimmy Thompson, created the WSM Barn Dance. 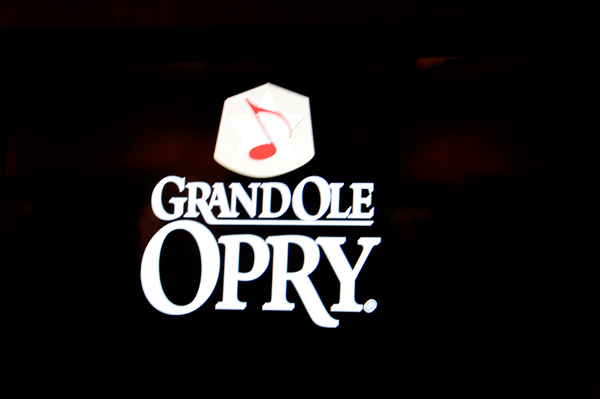 Hay's weekly broadcasts continued and proved enormously popular, and he renamed the show the Grand Ole Opry in 1927. 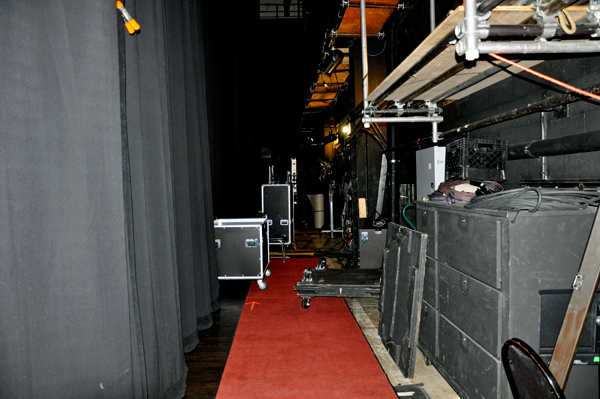 Crowds soon clogged hallways as they gathered to observe the performers, prompting the National Life company to build an acoustically designed auditorium capable of holding 500 fans. 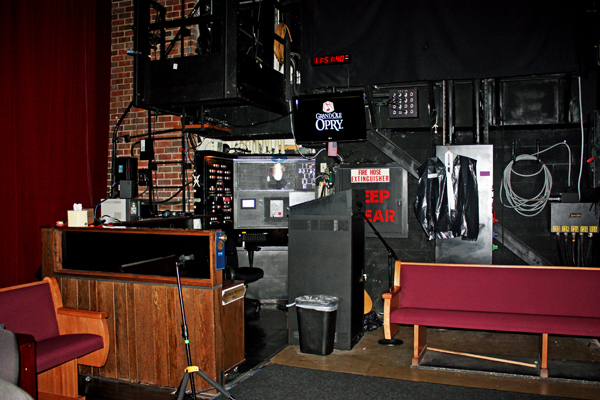 The new space wasn't enough to keep up with the audience's increasing enthusiasm for the weekly show. 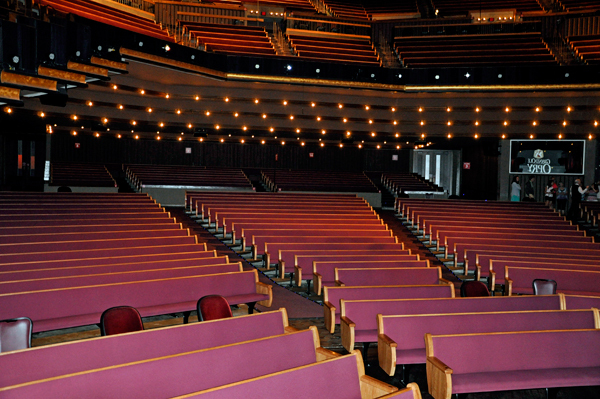 The Opry went through a number of homes in several parts of Nashville before settling, in 1943, at the Ryman Auditorium, a former religious meeting house built in 1892. 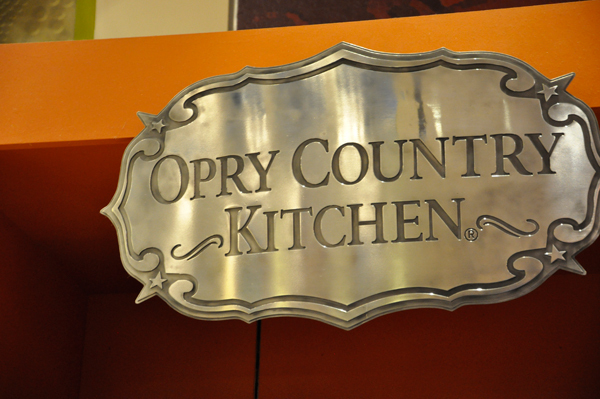 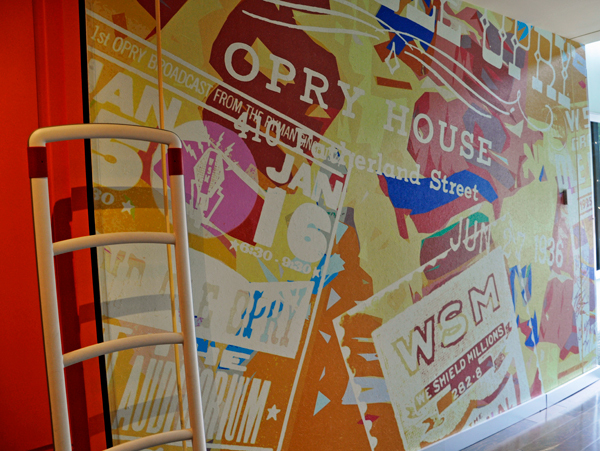 The Opry stayed at the Ryman for nearly 31 years. 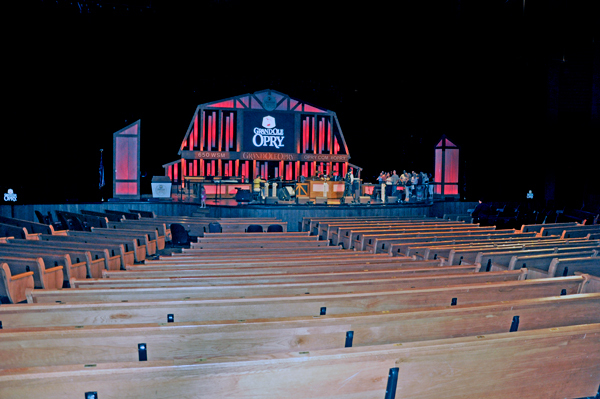 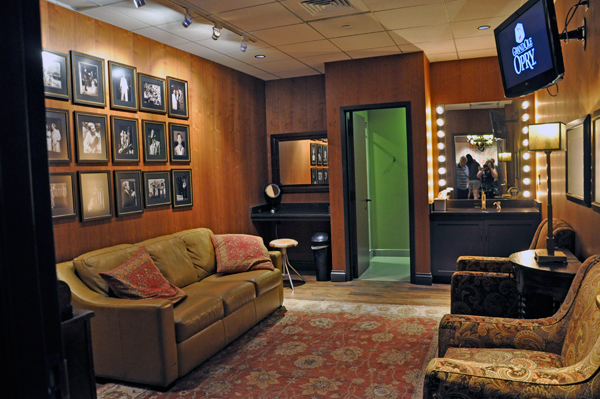 Many of the show's legends spent most of their Opry runs there. 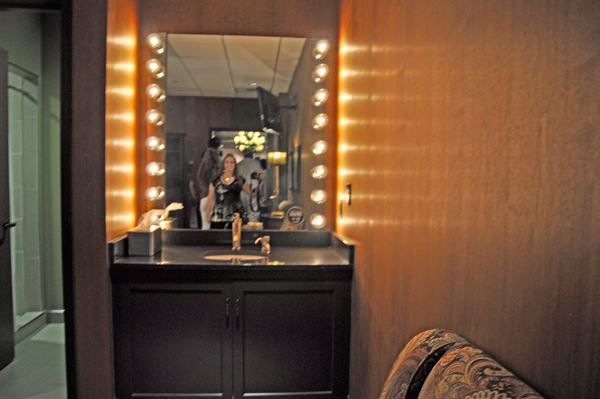 Lee Duquette enjoyed the tour of the dressing rooms for stars. 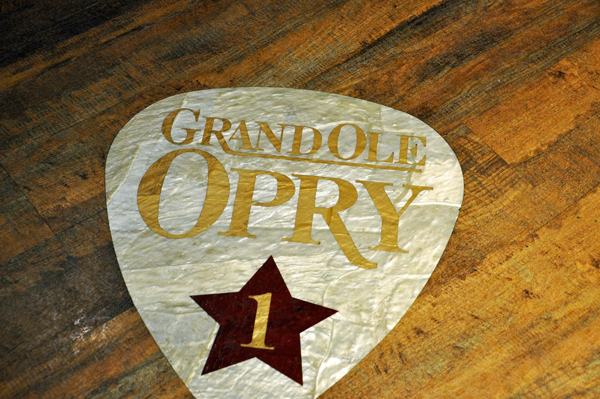 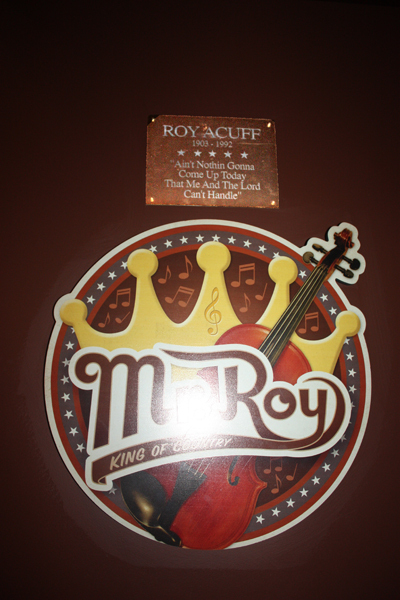 Each room had a Grand Ole Opry label and star on the floor by its door. 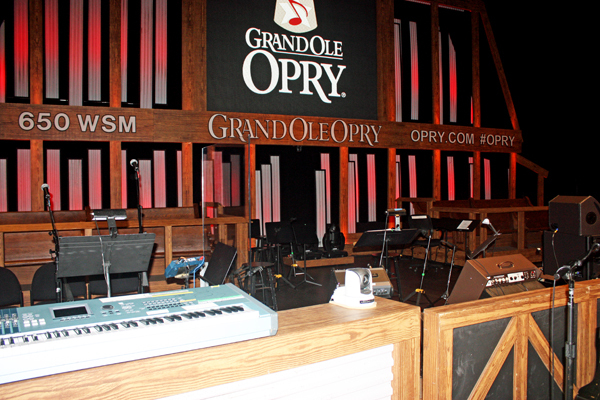 Then the tour continued on to the main performance room & stage of the Grand Ole Opry. 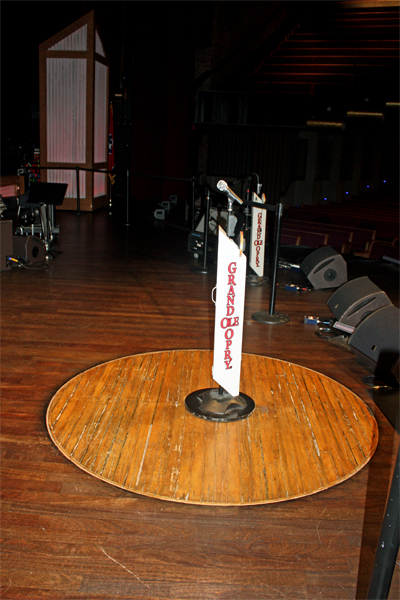 Below: The six-foot circle of dark oak wood in the Opry House stage is shiny but clearly well worn. 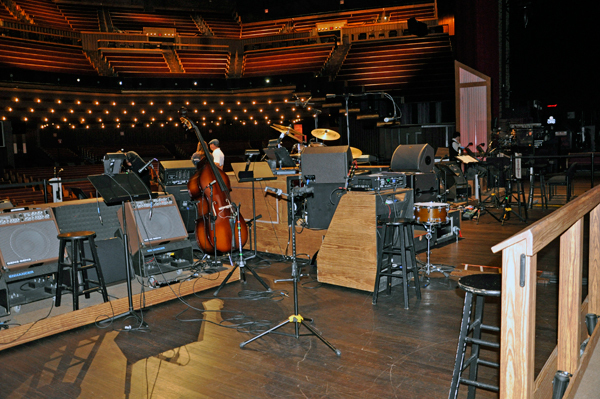 Cut from the stage of the Opry's famous former home, the Ryman Auditorium, this circle gives newcomers and veterans alike the opportunity to sing on the same spot that once supported Uncle Dave Macon, Ernest Tubb, Patsy Cline, and others. 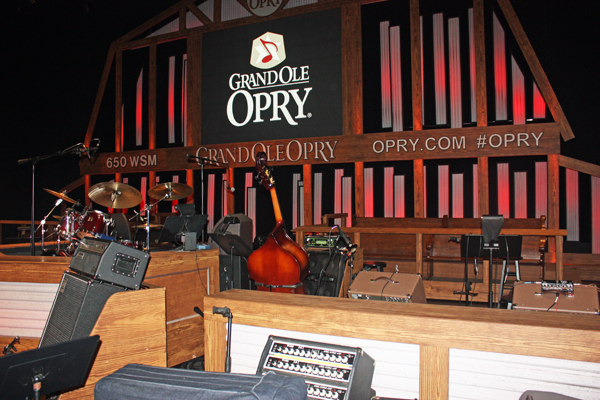 "That circle is the most magical thing when you're a performer," says Opry member Brad Paisley, "To stand there and get to sing on those same boards that probably still contain dust from Hank Williams' boots." 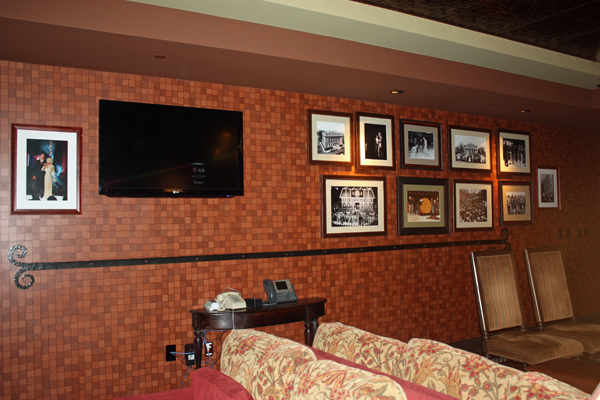 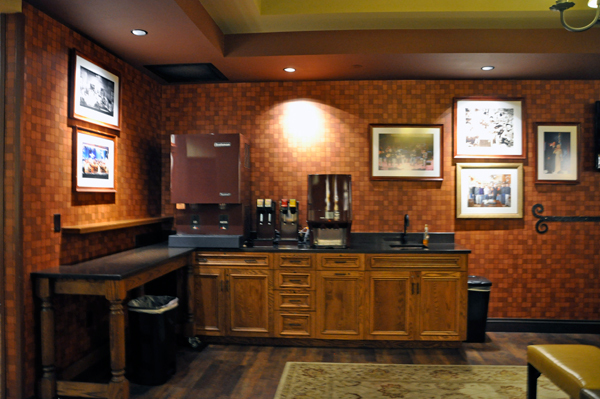 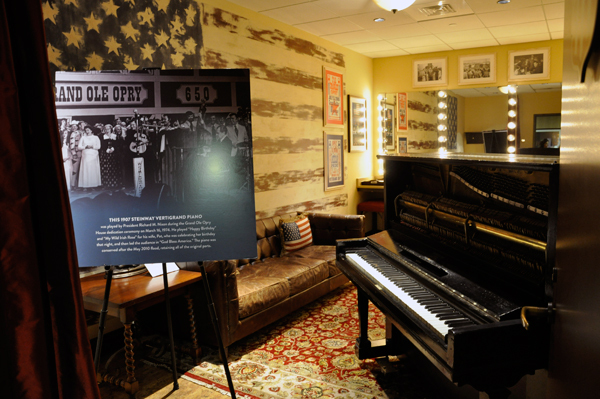 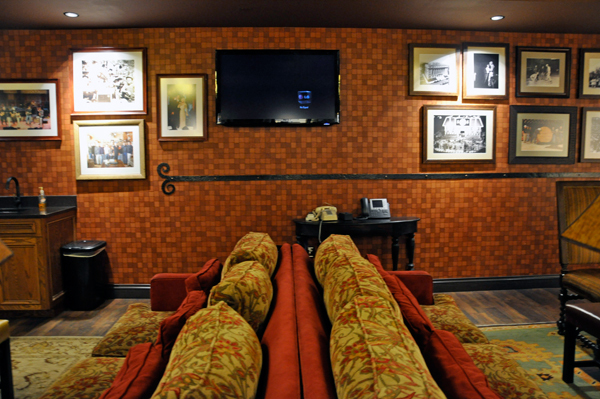 Many things about the Opry have changed over the years - its members, the sound of its music, even its home. 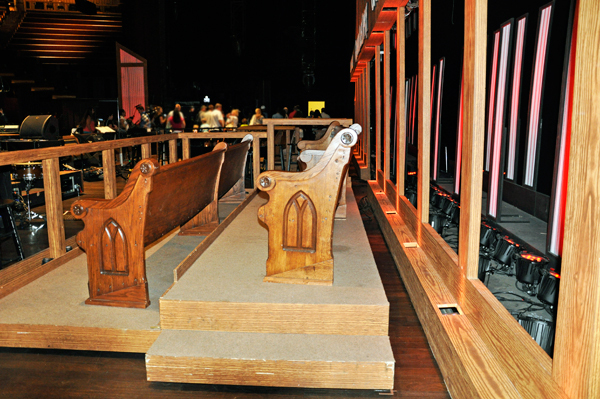 But there's always that oak-solid center to remind every singer or musician who steps inside that they take part in something much larger than themselves, that wherever they go they have a connection to the legends and the giants who came before them. 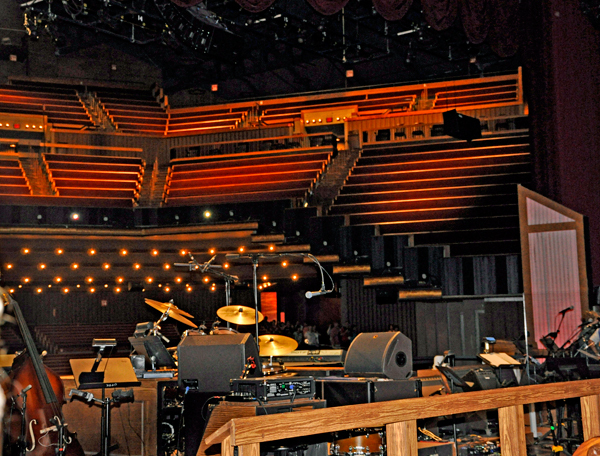 As that wooden circle is the heart of the stage, the Opry's heart is its music and its members - a broad scope of styles by a wide range of artists. 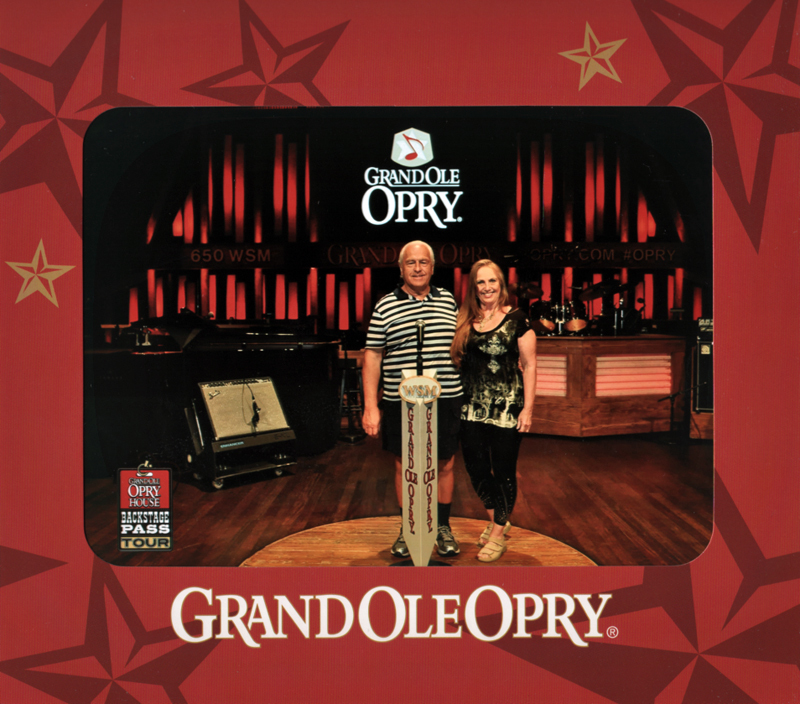 The two RV Gypsies stood on the famous wood circle at the Grand Ole Opry. 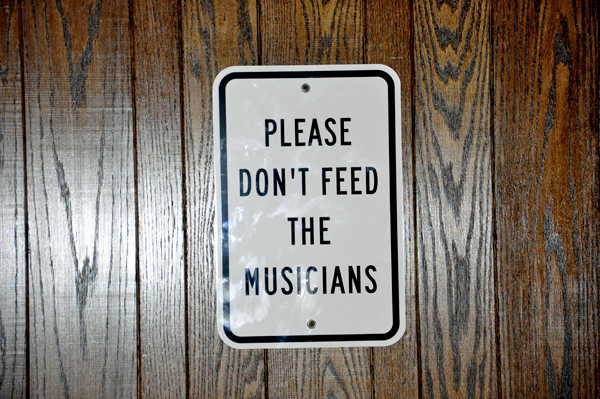 They were told that they could even sing if they wanted to, but that would have been a disaster. 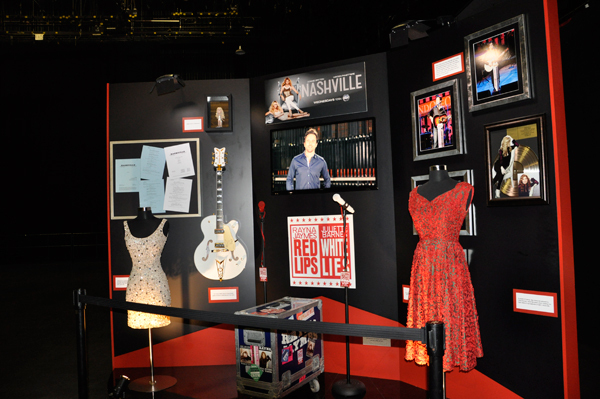 The backstage tour was over, and everyone on the tour had to exit through the gift shop, of course.